25 November marks the start of the 16 Days of Activism against gender-based violence, which runs every year from the International Day for the Elimination of Violence against Women, to Human Rights Day on 10 December. For UK Aid Direct grant holders Afghanaid, the principle of gender equality underpins their work. With an Impact grant for their project entitled ‘Empowering Afghan women to reduce poverty and promote equality’ the organisation aims to empower vulnerable women in some of the most remote areas of Afghanistan. 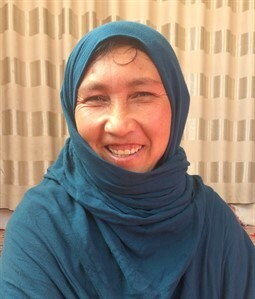 She lives in a remote rural village in Ghor province. Afghanaid is supporting Zahra to establish her own small business by giving her equipment and training in a vocational skill, as well as training in enterprise development, basic literacy and numeracy, and financial management. Through this project, Zahra will gain the skills and resources to earn an income and lift her family out of poverty. Zahra was just 14 when she was forced to married her husband. He came to her father one day to ask for her hand, and he agreed without consulting her. One month later the marriage took place. The marriage has not been a happy one for Zahra. “Thanks to Afghanaid, women are becoming more educated and our entire community is becoming more aware of women’s rights, including issues like early and forced marriage, as well as family planning. I was not so lucky. On my wedding day I was very sad to be taken away from my family to live with a man I did not know, and this is not the future I want for my daughters. “My husband and I have seven children. He wanted to have a big family. He wouldn’t allow me a say in the matter. He does not have much respect for me so I would not have been able to change his mind. Afghanaid will also be working with male family members and mothers-in-law to increase their understanding of women’s issues. In this way, the entire community can stand together to improve gender equality and the long-term alleviation of poverty. On Thursday 15 November 2018, the Department for International Development (DFID) announced details of further organisations to benefit from the Small Charities Challenge Fund (SCCF). This follows an announcement made on 27 July 2018, about Monmouth-based charity, Bees for Development. They secured SCCF funding to deliver a livelihoods project in Ethiopia. As part of the first funding round of this type, these organisations are being awarded grants from the £4 million available to small UK-registered charities and not-for-profit organisations. The funding will help organisations to support the poorest and most vulnerable people in the world. More information about each project can be viewed on the SCCF grant holder page of the UKAidDirect website. 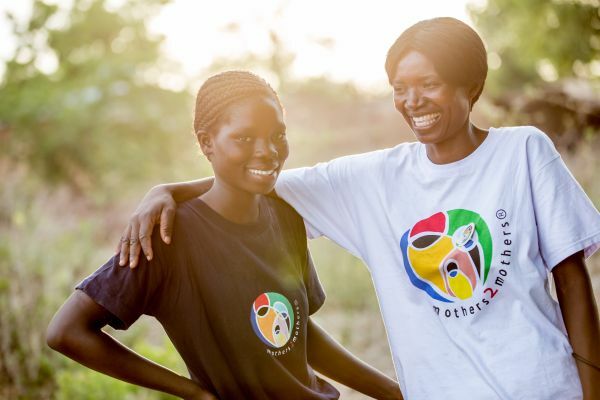 SCCF is a rolling fund and now particularly welcomes applications focused on securing better outcomes for widows, as well as those delivering to the Global Goals. The next review date is Thursday 28 March 2019 at 17:00 (GMT). Learn more in the Small Charities Challenge Fund overview section of the website.